Minister Stella Ndabeni-Abrahams says she will not be making any pronouncements on issues facing the SABC until a plan for its future has been finalised. VIENNA - Communications and Telecommunications Minister Stella Ndabeni-Abrahams says she will continue to meet with the National Treasury and other entities in order to formulate a plan to rescue the ailing South African Broadcasting Corporation (SABC). However, she will not be making any pronouncements on issues facing the public broadcaster until a plan for its future has been finalised. Speaking on the sidelines of the high-level panel on Africa and Europe in Vienna on Tuesday, Ndabeni-Abrahams said she needs to consult more widely on how to resolve the problems at the SABC. “I can’t just meet with the board and staff and [say] that’s it on SABC, I have got to go to Treasury, I’ve got to engage other entities to see how we can assist SABC. And once we have completed the agreements, how do we work best together to assist the SABC?” she said, adding it is only at that point that she will take the nation into her confidence. Her comments come amid turmoil at the public broadcaster, with dire warnings that it will run out of money by March. It’s asking the government to sign off on a R3 billion debt guarantee to allow it to keep head above water, as it embarks on a process of mass retrenchments aimed at cutting costs. Ndabeni-Abrahams has reiterated that she is opposed to any action that would lead to unemployment but underlined the need to deal with the realities of the situation. “That is why we have to understand the challenges that are on the ground and then we’ll see who are the potential partners that can help us,” she said. The SABC’s board is also in disarray following the resignation of four board members earlier this month after reported clashes with the new minister. 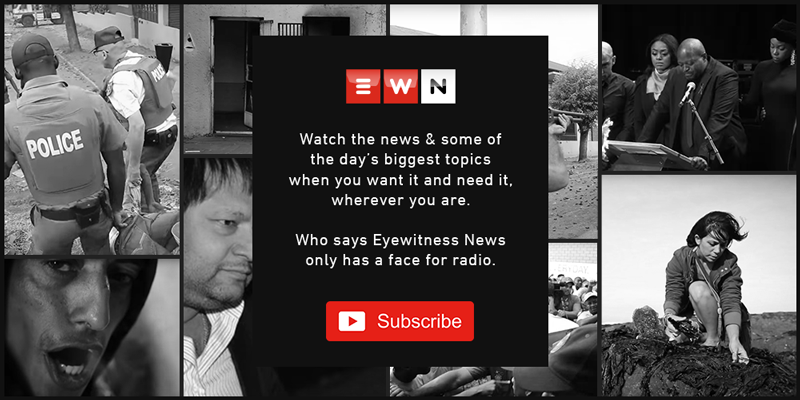 Ndabeni-Abrahams was tight-lipped, when Eyewitness News asked her about the situation, saying the board members themselves are best placed to provide reasons for quitting. Whilst the new minister acknowledged the issues faced by the SABC are complex, she pointed out that her portfolio is far broader than only addressing the problems at the broadcaster.